Millions of book lovers are all set to see the release of most awaited book of recent time, The Secret of Nagas by Amish Tripathi. 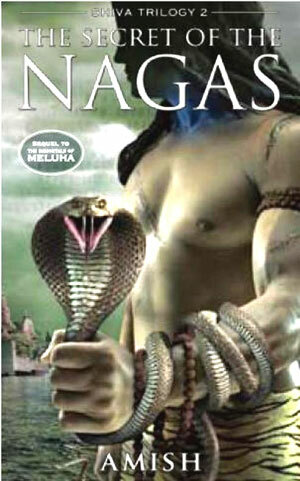 The Secret of Nagas, is second book of the Shiva Trilogy and the sequel to widely acclaimed, The Immortals of Meluha. The Immortals of Meluha is story of a place in the imaginary land of Meluha and how they are saved from their wars by a nomad named Shiva. Continuing the thrill in The Secret of Nagas, Shiva, the Tibetan immigrant who is the prophesied destroyer of evil, will not rest till he finds his demonic adversary. His vengeance and the path to evil will lead him to the door of the Nagas, the serpent people. Amish Tripathi is a 36 year old boring banker turned happy author. Not to be missed, he has an IIM Degree silently watching his creative pursuits taking remarkable flights. The success of his debut book, The Immortals of Meluha, first book of the Shiva Trilogy, propelled him to give up a fourteen-year-old career in financial services for writing. Today, Amish lives in Mumbai with his wife Preeti and son Neel. Well the wait is almost over now, you can go ahead and order your copy of The Secret of Nagas at Indiaplaza.com and you will get it in just three days.